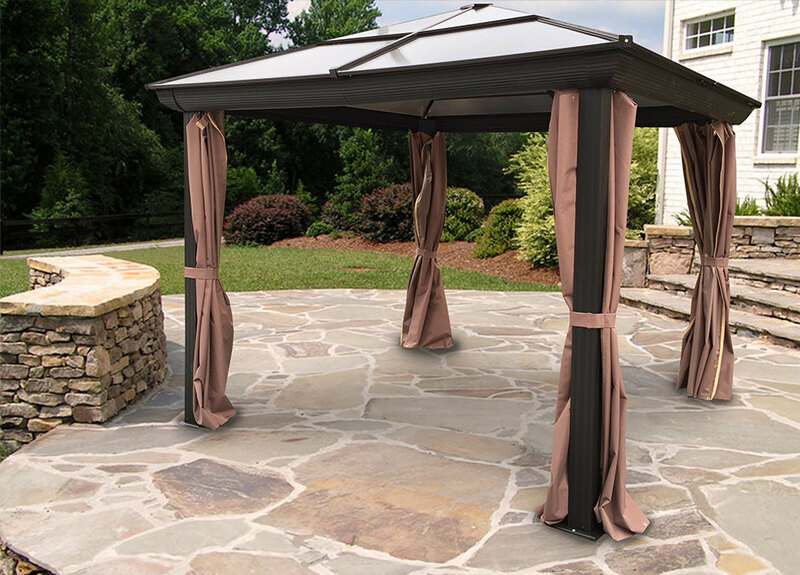 Create an outdoor sanctuary in your own backyard with the stylish design of this Hard Top Gazebo. It provides a shaded space to relax during hot summer days as well as a haven for friends and family to gather for dinner or drinks. Constructed with a durable polycarbonate roof and high quality powder-coated aluminum frame it come complete with mosquito netting made of PVC-coated polyester mesh which are extremely hard-wearing and reduce wind and sun exposure. Although not exceptionally difficult, the assembly will require approximately 1 day with 2-3 people following the assembly instructions. Assembly available for an extra fee.